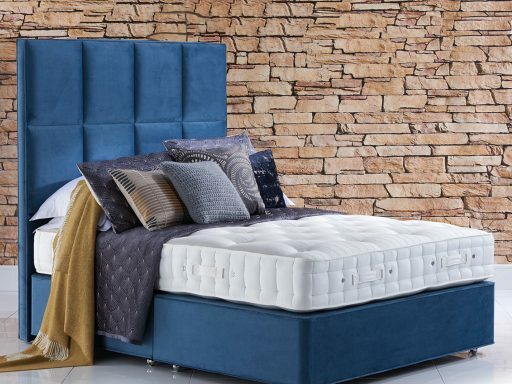 Anderson & England are well-established stockists of Hypnos beds, specialising in the Ortho Support Collection, which has been specially designed for people who prefer, or require, firmer support from their bed, without compromising on comfort. The range considers every aspect of the sleeping experience, using the latest ReActive pocket spring technology to balance firmer support with maximum comfort. The Ortho Prestige range comes in Wool, Cashmere and Silk – all of which are on display in our bedroom department. The mattress is matched with a deep, padded, non-sprung divan to provide a firmer, more supportive feel. Why not consider the benefits of the Hypnos Hideaway divan, which provides great storage for larger items, such as weekend suitcases, and offers more capacity than traditional drawer divans. This storage area is concealed behind a large fabric valance. 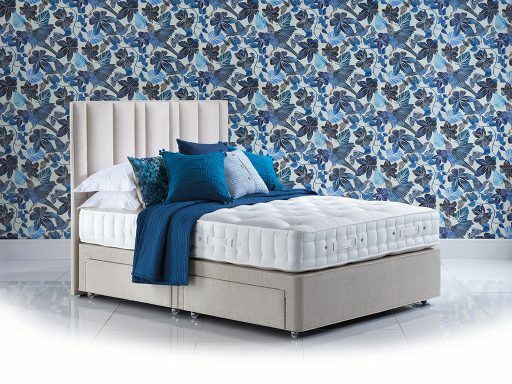 Here at Anderson & England, we stock a wide range of Hypnos beds for you to sample. Call in today to try your next Hypnos bed – The Ultimate Sleep Sanctuary.